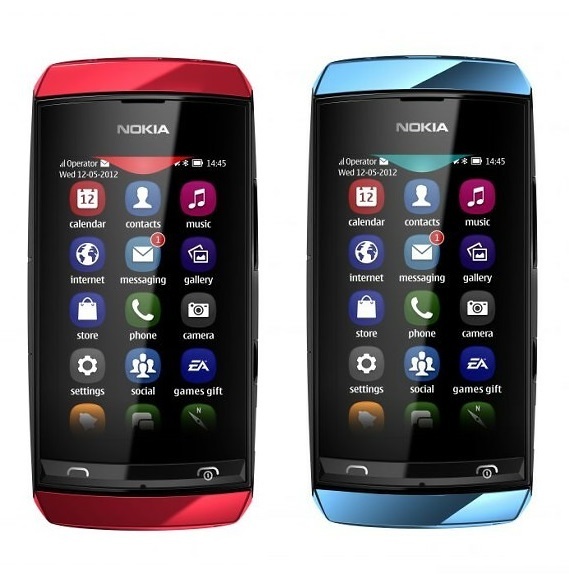 Nokia Asha 306 is a new touchscreen phone from Nokia , and they planned to introduce it with the other Nokia Asha touchscreen phones like Nokia Asha 305, Nokia Asha 311. It has preloaded social applications also helping in staying connected with your friends and family. Along with this, video streaming is there for GPRS and WLAN. It has 2 MP camera, S40 Asha OS, 3.0 inch Resistive touchscreen display, swipe UI, WiFi, 1 GHz processor, 40 EA games and 1110 MAh battery. The available colors in this model are dark grey, silver white, red and mid blue. You also get a 2 GB free memory card. Design and Specifications Nokia Asha 306 is a high end touch screen feature phone from Nokia. The phone features a 3.0" TFT resistive touch screen. The phone has dimensions of 110.3 x 53.8 x 12.8 mm making it handy and is light at 96 g. Camera and Multimedia The phone sports a 2MP camera for taking photos. The camera can shoot videos at resolution of 176x144 at 10fps. The phone lets you listen to music in popular formats such as MP3, WAV, WMA and AAC. The phone also lets you watch movies in popular formats such as MP4, H.264, H.263 and WMV. Connectivity and Features Nokia Asha 306 runs on quad band 2G network. The phone connects to the internet via GPRS, EDGE and Wifi. The phone has Bluetooth v2.1 and micro USB v2.0 to cater to other connectivity needs. Battery and Storage The phone has a 1110 mAh battery that provides up to 14 hours of talk time. The phone has 10 MB internal memory which is expandable by up to 32GB via micro USB card.